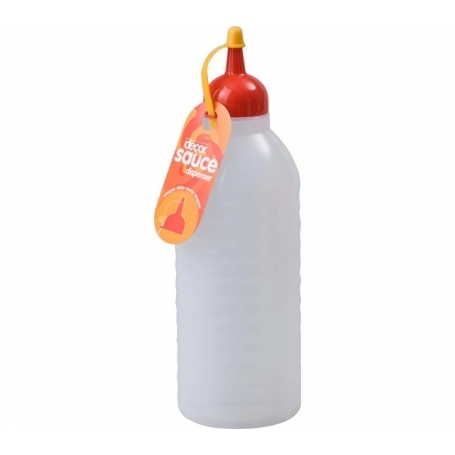 This sauce bottle is perfect for storing condiments, vinegars, sauces, flavoured oils, frosting and many other ingredients. The flexible plastic bottle is easy to squeeze for dispensing. Features slide away stopper and graduated measurements on side. The bottle is BPA-free and dishwasher safe.